Hi, Fiona. My name is Yvonne Glasgow. I am 43, but don’t look a day over 34. I was born in Grand Rapids, Michigan, and currently live on the border of Grand Rapids, Wyoming, and Kentwood. I’ve had the privilege of living all over the mitten state though. I don’t want to go too far back in my life history or you’ll be publishing a novel. I am about to embark on my second marriage this year. My fiancé and I have a nice little house with a nice little backyard. We have a bunny, Anyanka. She’s a white (with blue eyes) Holland Lop. I work from home as a full-time freelance writer, and I work on my own books and art on the side. I have a Ph.D. in Holistic Life Coaching and I’m about 7000 words away from finishing my dissertation for my D.D. in Spiritual Counseling. Where do I start? I have a lot going on this year. I am very motivated and very excited about the prospects 2018 has to offer. I published my first book of 2018 in mid-January. My fourth poetry collection currently in print, My Life In Haiku. It’s a collection of non-traditional Haiku poems about my life. I also just started the plans for redoing and relaunching a children’s book character I first had published way back in 2008. Frankie the Firefly is getting a new look and at least three new books, the first to be released sometime this year. I am also redoing and relaunching a project I did a year ago. I started a print zine covering local music, arts, and businesses and it only lasted six months. This year I am bringing back the name, #supportgrandrapids, but publishing it as a literary journal with a focus on creative writing by locals and stories about local creatives, including interviews. The first issue, it will be quarterly, will be available in June. And, lastly, I will be publishing my next wellness book, The Jealousy Remedy, in a month or two. This and the literary journal will be the first publications under my newly formed publishing company, Glass Goat Publishing. I’ve been writing as early as the first grade when our teacher had us create a book that we bound in class. Mine was a poetry book, of course. I started with poetry, moved to short stories, then essays and opinion pieces. By 2000 I was steadily writing music and concert reviews, and in the early 2000s, I expanded into writing articles online. I’ve written on nearly every topic under the sun at least once. The first time I had a review published, in January of 2001. And from that moment on I was determined to make writing a major part of my life (and it has been ever since). Even though my first book was a children’s book I published traditionally in 2008, I’d rather talk about the first book I published last year after freeing myself from a bad life situation I had been in for nearly a decade. 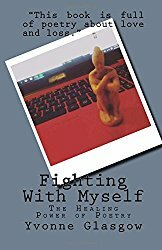 Fighting With Myself is a poetry book that I wrote while I was healing from the pain of numerous bad relationships. 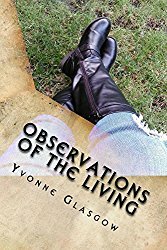 From family issues to romantic issues, and even problems with false friends, I used poetry to heal myself and get on with my life. 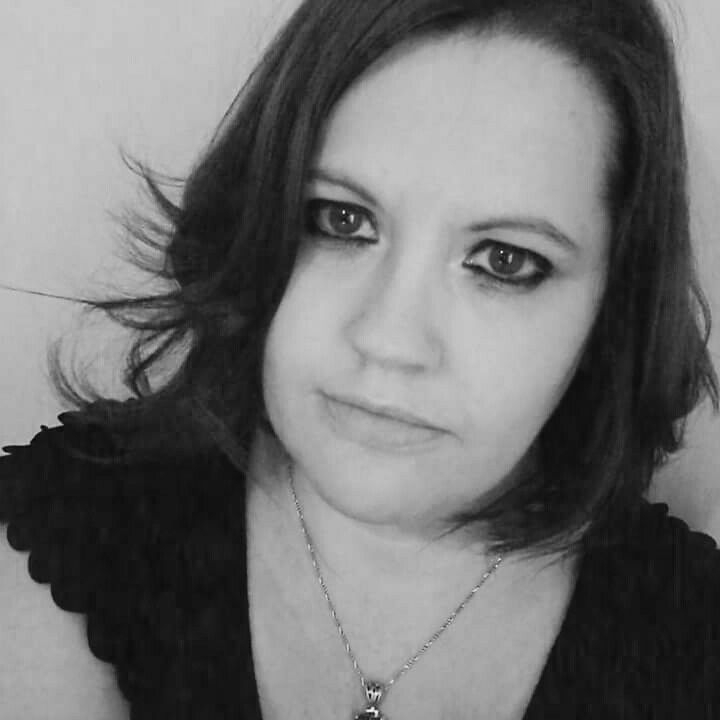 My poems were all inspired by the negative events I went through and what I did to empower myself and survive. Anyone who has ever dealt with friends and family members with mental disorders or been in an abusive relationship of any kind can relate to the inner battle you go through when you realize you have to walk away in order to save yourself. I was Fighting With Myself for years before I realized that there was a better life for me on the other side of it all. This is always my least favorite question and I hear it even in interviews for freelancing gigs. I feel like I am mainly a combination of Narrative and Descriptive writer. However, I’ve only just been redeveloping these skills again after working too many years as an SEO writer. That “just the facts, ma’am” style of writing seems to have a negative effect on my creative side. All of the poetry I write is based on something from real life. 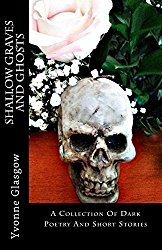 Even my horror style poems and short stories in Shallow Graves and Ghosts are based on something from my life. I do sometimes get inspiration from TV shows and the movies I watch. Even my wellness and self-help books come from my own experiences in life. It truly makes it easy to write when you write what you know. No. I don’t have to do any traveling, aside from within my own mind. I design all my own covers. I just like making sure that everything in my works comes from within my own soul. I think that each of my books has some sort of message, but some of them are more distinct than others. 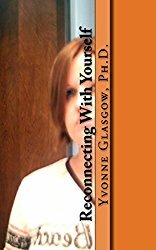 With Fighting With Myself I wanted to help people understand that they are survivors and not victims and that you can find a life again after abuse and darkness. In my wellness book, Reconnecting With Yourself, the message is that it’s up to you do what it takes to be happy again and find your truer you. I think the one new author that really caught my attention recently is my friend Ryan Lieske (you recently interviewed him). I read and reviewed his book Fiction and I was completely mesmerized by it. It inspired me to start writing a serial killer story I’d always wanted to embark on. I have many favorite writers, but I think the one I’ve been going to the most recently is Chris Colfer. This is probably because I am starting to work on my own collection of fairy tale retellings. I’m going to stick with a collection of short stories. Colfer’s The Land of Stories series is a must for anyone that enjoys a good fairy tale. Even though I’ve been publishing books since long before we got together, my fiancé, Dale Wicks, has been a huge support when it comes to my work as both an author and a freelance writer. Writing is most definitely my career. I work full-time from home as a freelance writer and reviewer. This is my day job- words. Not a thing. I won’t publish my work if I have any doubts about it. As I work on The Jealousy Remedy I am trying to employ some of the things I’ve seen in other wellness and self-help books. I think that expanding the look and content of the book in a way that falls in line with other books of the genre is helping me grow as an author and as a writer. 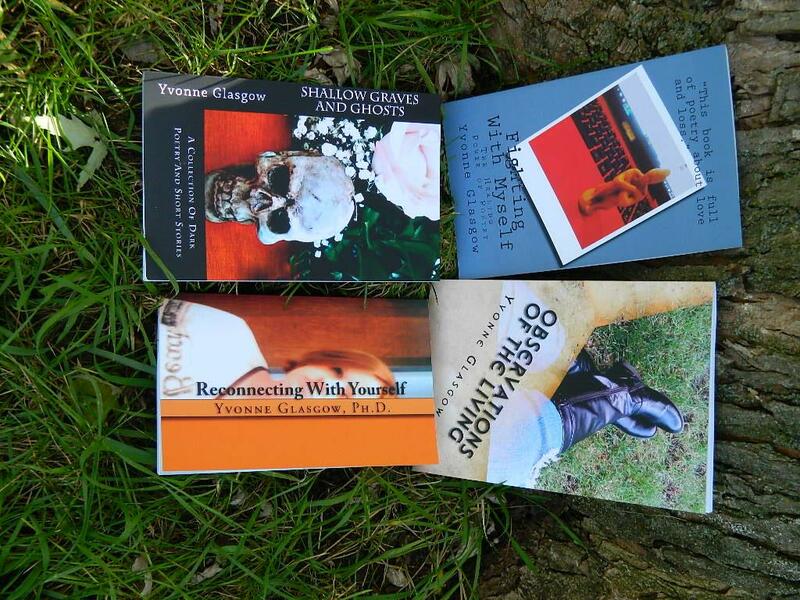 Since my books, so far, are only wellness and poetry books, I don’t think there will be any films made about them. Maybe if someone were to make a film about my life based on my personal poetry I would imagine I’d be played by a beautiful redhead, like Christina Hendricks. Just write. Write when you want to, write when you don’t want to. Write about stuff you love and stuff you hate. Never stop writing. The more you write the better you get. Thank you for buying and reading my books. I appreciate your feedback, good and bad. Nothing makes an author feel more warm and tingly than seeing a new review on Amazon or Goodreads. I am always reading more than one book at a time, but the main book I am on right now is Your Band Is a Virus by James Moore. My fiancé is a career musician, so I thought I could get some insight on how to help him get his name out there even more, and I’ve found some great marketing tips to use for myself so far too. It was probably The Poky Little Puppy since that’s always stuck with me as one of my favorite books from childhood. Many things do both for me. Sad and happy movies make me cry. Sad and happy moments in life make me laugh sometimes and cry others. A sad moment in a book can always start the tears falling. Wayne Dyer. He passed away a few years ago now, but his words still inspire me on a daily basis. Art and hiking. There are more, but those are the two I love the most. I’m also learning to play the ukulele, slowly, when time permits. Right now I am absolutely addicted to binge-watching Once Upon a Time. My favorite movies to motivate me in my career as a writer are 13 Going on 30, The Devil Wears Prada, and Confessions of a Shopaholic. I’m a healthy eater that has to have dairy-free (or at least lactose-free) and gluten-free options to avoid getting really sick. I don’t eat fast food and I rarely eat out. Black has always been my favorite color. I love all music, some more than others. I write music reviews for a living, so I can find something I like in almost any recording. Congratulations on publishing your first book. You’re the second writer Fiona’s featured who’s working with Haiku. I’m just a dabbler, but I Haiku relaxing and frustrating at the same time. Best of luck to you.